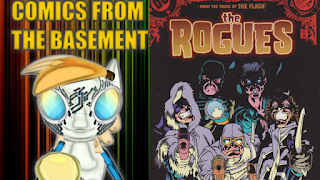 It's New Year's Eve and I'm trying to catch up on things I had scheduled for this week in one day, and we're kicking off with this weeks comic book review: The Rogues: New Years Evil #1 from DC Comics! 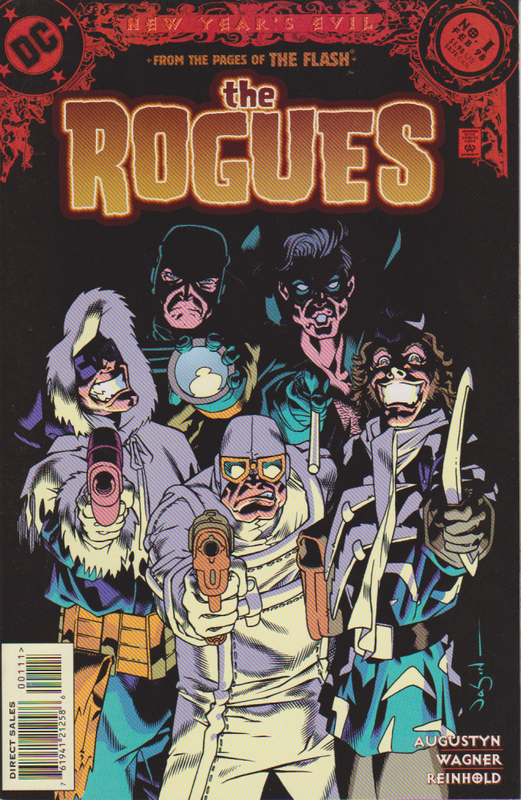 Which leads to a question… who are The Rogues… they are basically the blue-collar criminals, those who rather just commit minor crimes and instead of taking over the world, they mostly are members of The Flash’s gallery of bad guys, often consisting of characters like Captain Cold, Mirror Master, Heat Wave, Trickster, Weather Wizaerd, Pied Piper & Golden Glider… and if you’ve seen The Flash on the CW, these names are obviously familiar too you. 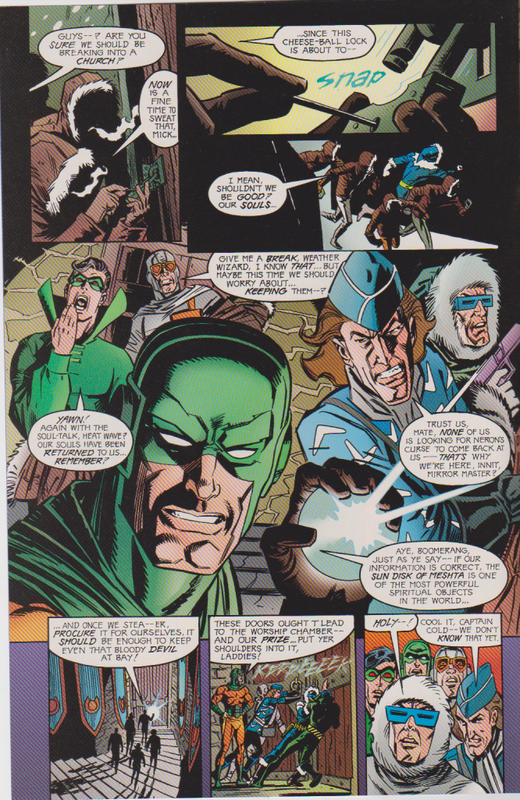 Their first appearance as a team was in The Flash #155 back in September 1965… over the years, the team has seen members come and go and by the late 90s there was a fairly even status quo established, such as moral code of conduct between members… and have time have acted as heroes when it was in their best interests. 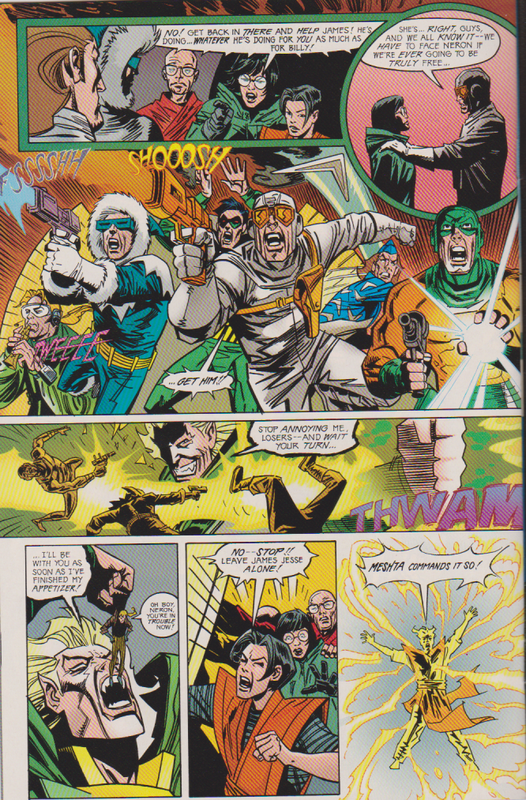 The story: Taking place after the Three Of A Kind story line in The Flash/Green Arrow/Green Lantern books and called ‘Men & Gods’ , this comic sees Captain Cold, Mirror Master, Heat Wave, Captain Boomerrang , Weather Wizard breaking into a temple of Meshta, and Heat Wave is a bit reluctant considering the status of their souls and are looking to get something to keep Neron from taking their souls… but it turns out instead part of the The Trickster’s plan to make sure the son of an old friend is kept safe, and with the help of the Pied Piper… these Rogues do battle again against Ahrynu and Neron… in order to get Neron off the Rogues back as well as making sure Nero leaves the Meshtra Temple and those involved with it alone. 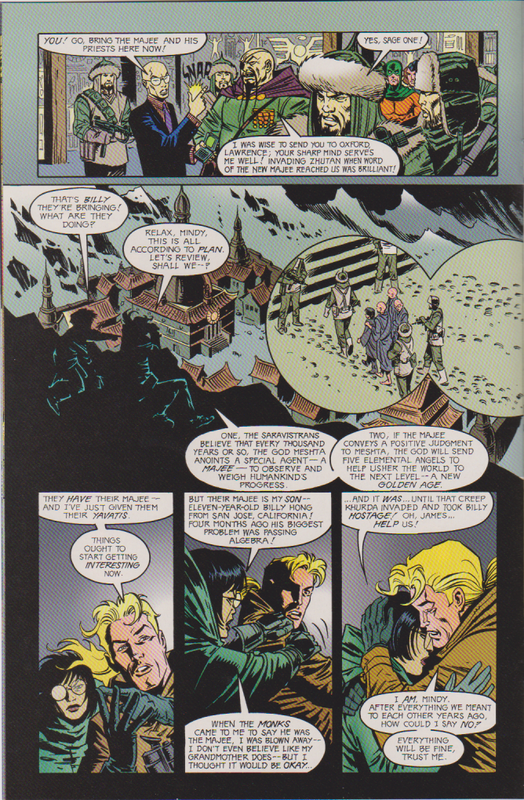 The Verdict: The artwork in and of itself its totally fine, and the story flows nicely with just enough backstory given to allow anyone who just grabbed this issue at random to understand the circumstances, such as The Trickster being somewhat on the side of justice at the time, and Heat Wave being inspired to stay behind to become a monk at the end of the story. 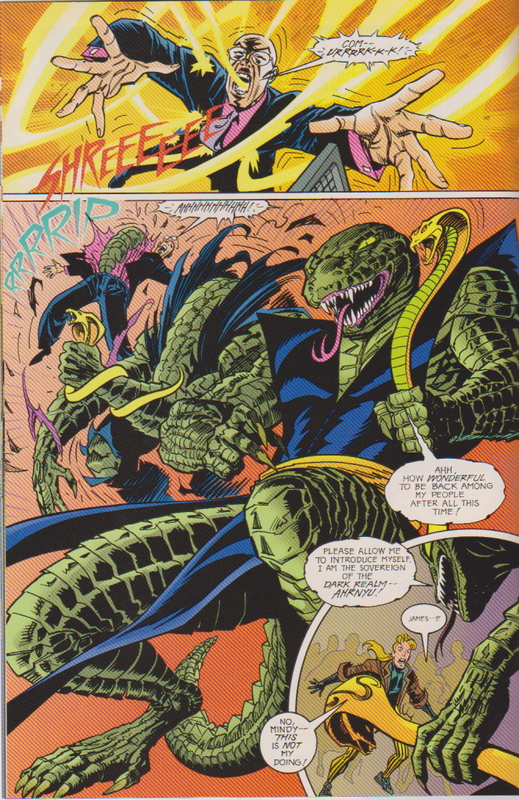 It’s a light easy read that wraps up some details while opening the door for new stories with these characters. 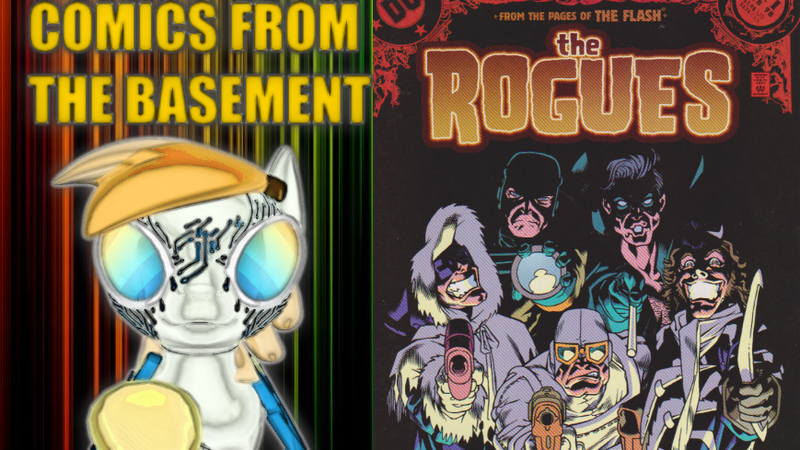 Next time in The Basement: It’s back to Tank Girl with Tank Girl Carioca #3 to wrap up my look at that mini series.